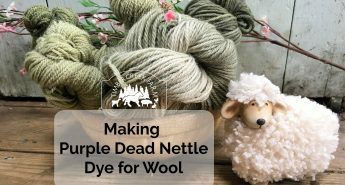 When I saw the huge amount of Purple Dead Nettle covering our property last spring, I wondered if I could create a purple dead nettle dye for our wool. Purple Dead Nettle ( Lamium purpureum ) is an invasive plant, commonly called a weed. We had a huge crop of this plant. Would this plant yield a Purple Dead Nettle Dye? 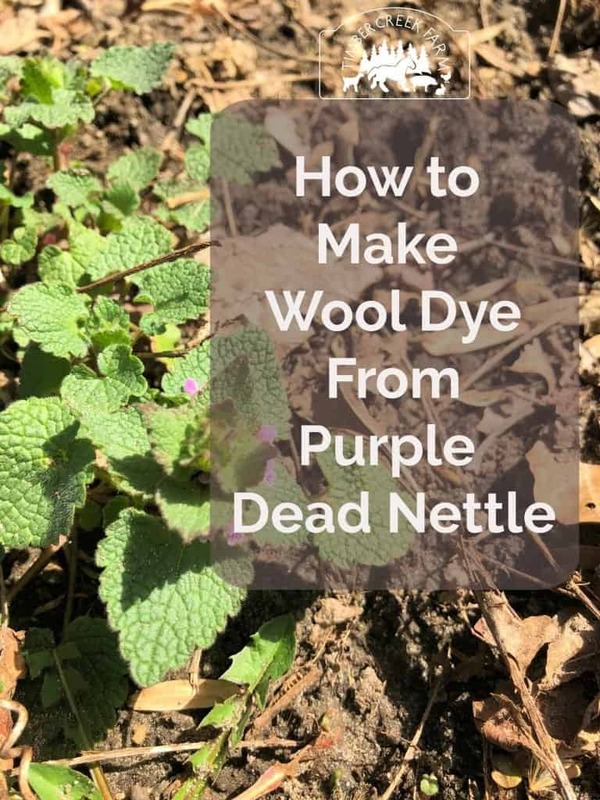 I love to forage for natural plant material that can be used for dyeing our wool yarn, I gathered up a large basket full of purple dead nettle. Research showed that stinging nettle could provide a yellow dye that could be modified to green. Digging even deeper, I found that any of the plants in the nettle family would react in a similar manner. Purple Dead Nettle is actually a member of the mint family but I hoped the plan would be the same. I set up the dye kitchen for making Purple Dead Nettle Dye for wool. The first step in creating a dye from plant material is gathering the plants. 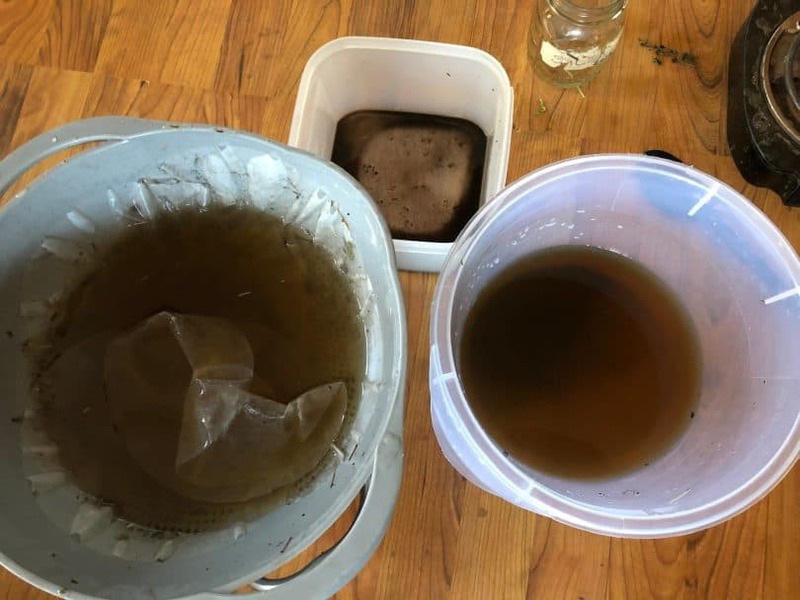 Different seasons can yield different results when using natural sources for dye. In the case of purple dead nettle dye, the plant is seen in spring and fall. The fall color can vary greatly from that created from the spring plants. At this point in my foraging journey, I have found that the spring plants yield the most color. Although I have heard that purple dead nettle helps with allergy symptoms, I find it has a strong aroma. It’s one that I don’t find pleasant so I only work with purple dead nettle in my outdoor dye area. Water – enough that the yarn is freely floating in the dye pot. 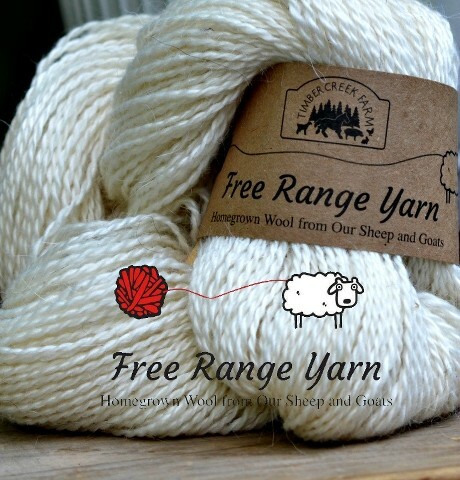 When dyeing protein fibers such as wool, mohair, silk, alpaca, etc., the material needs to be pre-treated so it can accept the dye. This process is called the mordant. 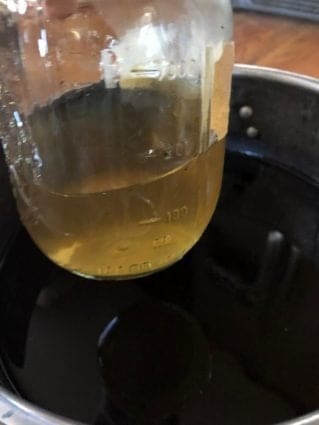 Basically, the mordant solution will open up the fibers so that they are receptive to the dye and it adheres to the fiber. I use Alum for almost all of my mordant work. 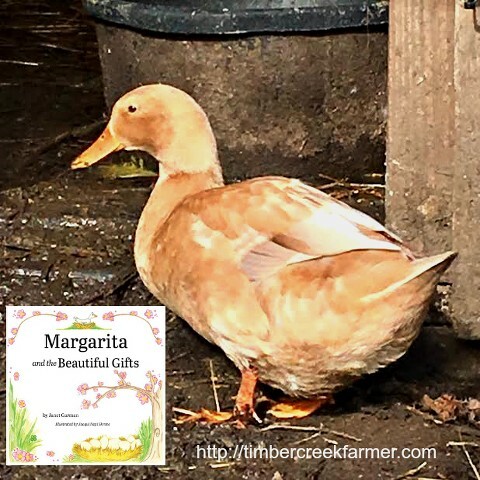 If you are new to creating natural dyes, this post may help you with more of the details. My mordant of choice is usually a 12% weight of alum per weight of dry fiber measured in grams. I also add a teaspoon of cream of tarter to help the yarn stay soft. While the yarn is in the mordant bath, begin preparing the dye. 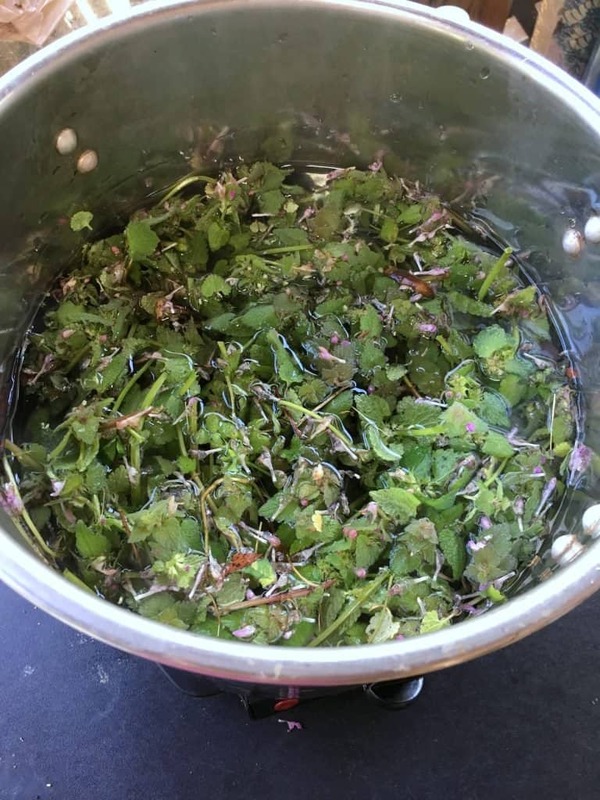 Add the purple dead nettle, I use the entire plant, to the stainless steel dye pot. Using an aluminum pan for dye will alter the color of the dye since aluminum is also a color modifier. Add enough water to allow the yarn to freely float in the dye once the plant material is strained out. Allow the heat to rise and keep the solution simmering for at least 45 minutes. 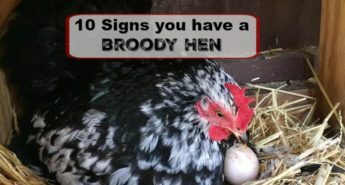 Do not use a hard boil as the heat can denature some colors. 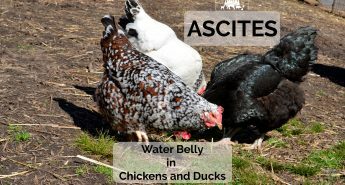 A soft gentle simmer will do the job. Allow the dye to cool before straining off the plants. 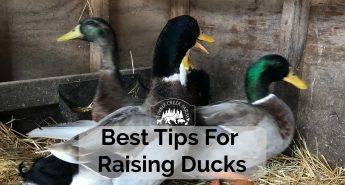 When straining the dye, you may want to use a coffee filter or cheese cloth to capture the small bit of plant material and dirt. Return the dye liquid to the dye pot. Check the color. You should see a greenish yellow liquid. Not very impressive in my mind, yet we are about to add the magic. Rewarm the dye to about 200 degrees Fahrenheit. Add the two teaspoons of iron modifier. (Ferrous sulfate) Stir the iron powder to dissolve it completely. After a few minutes, dip out a small sample of water. 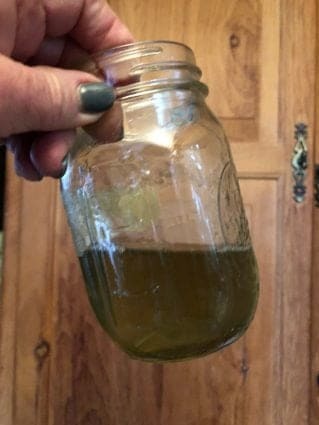 I use a mason jar for this, so I can see the color. 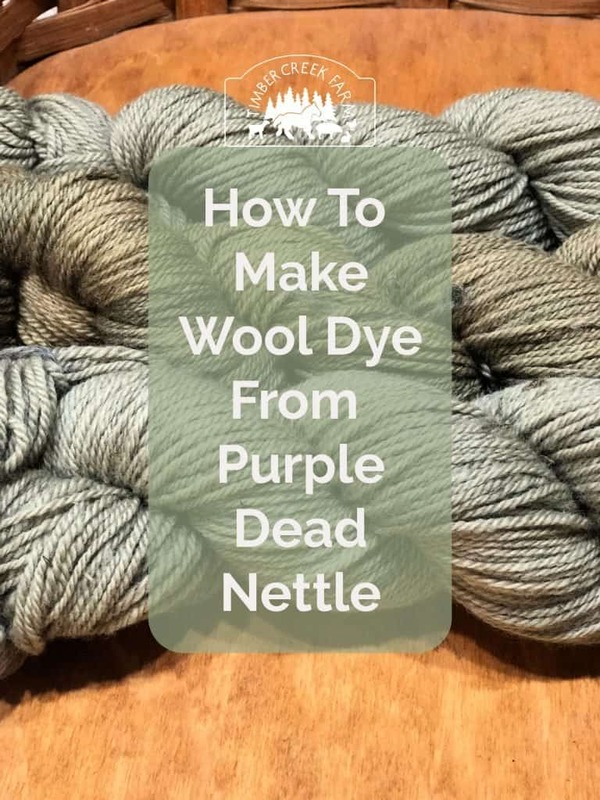 The Purple Dead Nettle dye color should have changed to a sage green color, or a dark green. Photo showing the color of the dye liquid before the iron modifier is added. Gently squeeze out some of the liquid from the mordanted yarn. Transfer the wet fiber from the mordant bath to the dye pot. Gently submerge the yarn or fiber, using a long handled spoon. Keeping an eye on the temperature of the dye bath, allow to simmer for 30 to 45 minutes. Check the color developing. If the color is not as deep as you would like, you can add a tiny bit more iron modifier. Be cautious though. Iron can also weaken the fibers of protein based yarn and roving. Allow the fiber to cool in the dye pot. In many cases you can leave the yarn in the dye pot overnight, but, when adding iron, I don’t like to leave it in the dye that long. Once the fiber has cooled enough to handle, I remove it and then rinse. 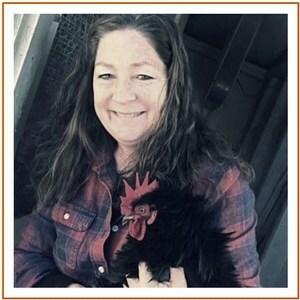 There are different methods to finishing the naturally dyed yarns and fiber. This is my method. Rinse the yarn in warm water until no dye is running from the yarn. Add 1/2 cup of white vinegar to the rinse water and swish the yarn gently and rinse. Add a drop of wool fiber conditioner to the rinse water. Rinse completely, Squeeze out the water. 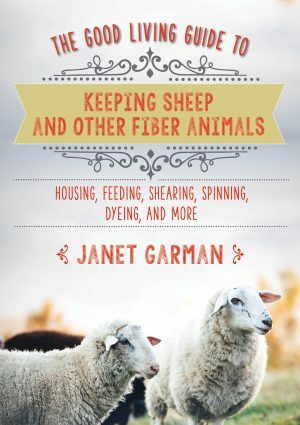 Do not wring your yarn or fiber as that can cause felting. Simply squeeze the water from the fiber. Lay flat to dry on a large towel. You can also spin dry, if you have a washing machine that will just do the spin cycle. If you are still seeing lots of color in the dye pot, you can use it as an exhaust bath for dyeing more fiber. 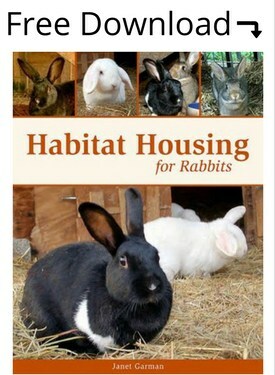 The color may be slightly or greatly reduced. Are you interested in foraging wild edibles? 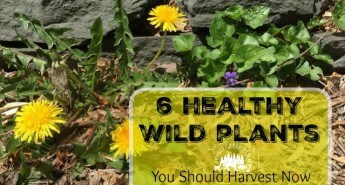 If you know that your yard or a particular area are not sprayed with herbicides, foraging wild greens can add much to your spring diet. The greens are packed with nutrition, vitamins, high in Vitamin C, and fiber. Antioxidants are present in high amounts. 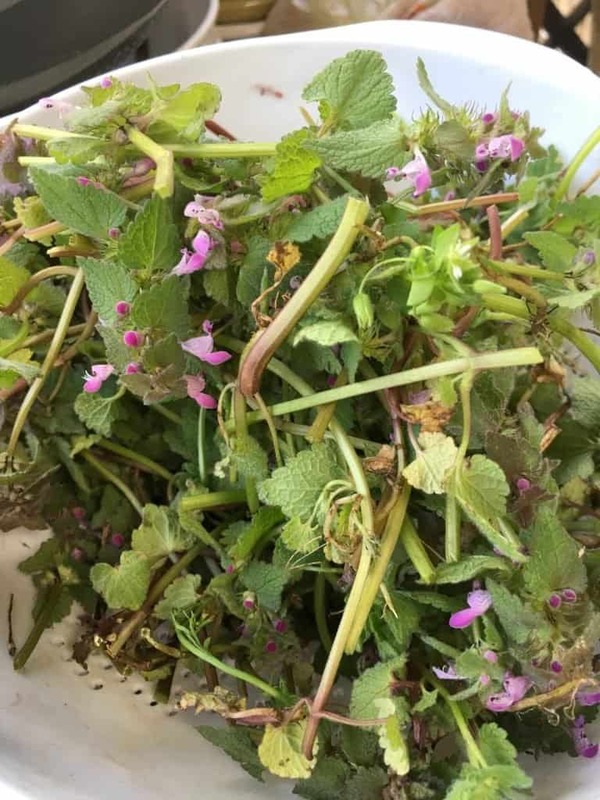 Purple dead nettle is just one spring plant that, while it is invasive, provides us with much in the way of nutrition and medicine. Here’s a recipe for pesto made with the Purple Dead Nettle Leaves. 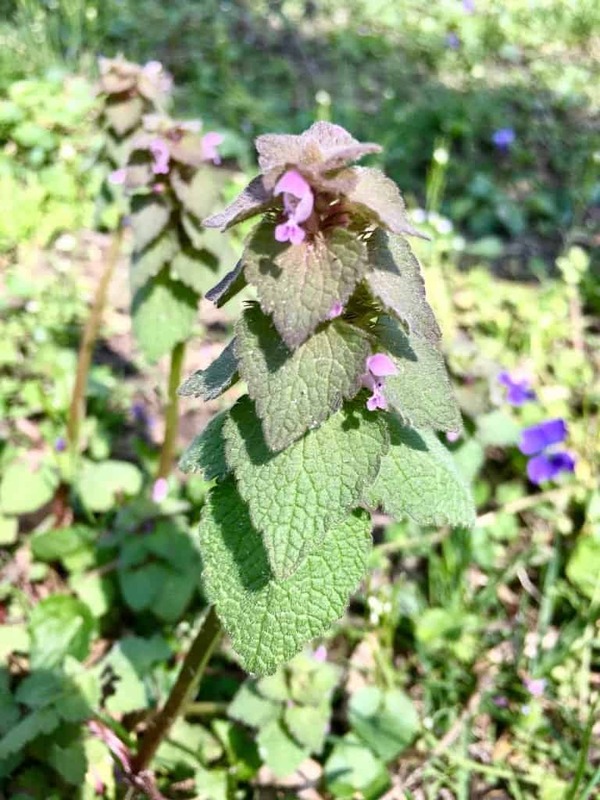 Purple dead nettle also can be used as a medicinal for anti- inflammatory preparations, antibacterial solutions, and also as an astringent, and anti- fungal. Bees also enjoy a good meal from the early blooming Purple Dead Nettle. While most information doesn’t distinguish between which bees like it, I have mainly noticed the big bumble bees enjoying the flowers. Have you tried making wool dyes from weeds and foraged plants? 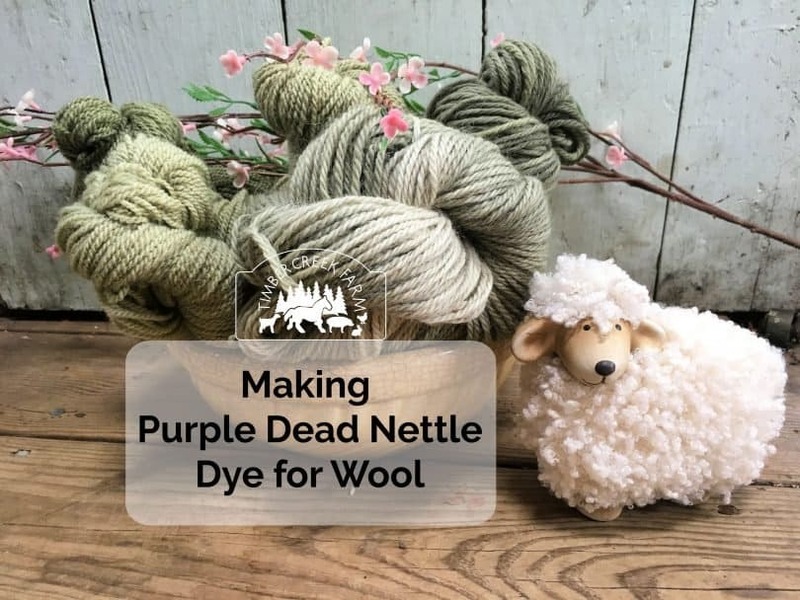 How did you like the results from Purple Dead Nettle Dye? 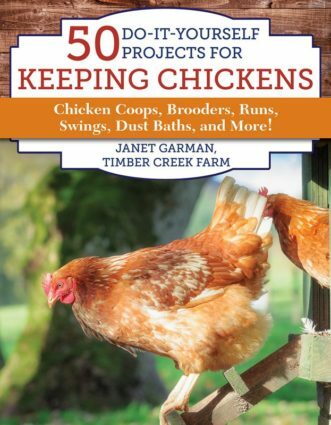 There are more dye recipes and instructions included in my recent book, Keeping Sheep and Other Fiber Animals. 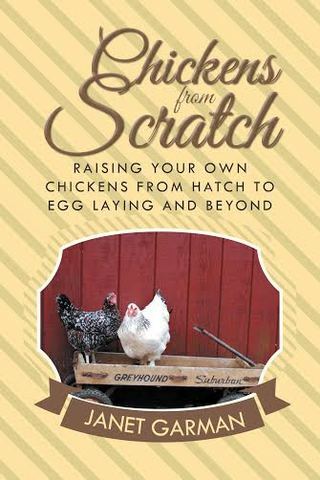 The book is available at local bookstores, Amazon and on this website.